El neo-sacerdote saludará a los fieles al final de la Misa. These words read yesterday from Benedict XVI’s Apostolic Brief brought joy and hope for the institution of the Heralds of the Gospel. 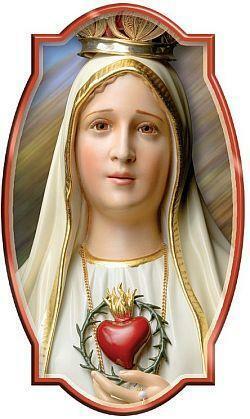 The feast of Our Lady Help of Christians was doubly celebrated by the Heralds of the Gospel. In addition to the normal celebrations in praise and honor of the Holy Mother of God, Help of Christians, there was something very special to be celebrated: The Church of Our Lady of the Rosary, in the Diocese of Bragança Paulista was elevated to the rank of Minor Basilica, just that day . This church is part of a group of buildings which include the seminary of the Clerical Society Virgo Flos Carmeli and the House of Formation of the Heralds of the Gospel. The ceremony of the presentation of the Apostolic Brief that raised the church to the status of Minor Basilica proceeded with great solemnity during the Mass celebrated by Bishop Sergio Aparecido Colombo , Bishop of Bragança Paulista, in São Paulo. The Brief of His Holiness was presented to Msgr. João Clá Dias, founder and general president of the Heralds of the Gospel. Then the proclamation of the Holy Father’s words followed. At the end of ceremony the unveiling of the symbols that identify a Minor Basilica, the Papal Coat of Arms, the Coat of Arms of the Bishop and the Papal Keys. 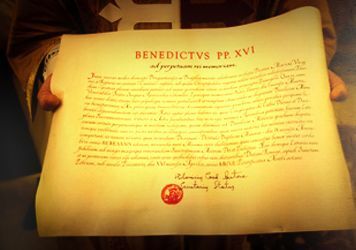 Thus ends the Papal decree that was made known by Cardinal Tarcisio Bertone, Secretary of State of the Holy See. In it “His Holiness Pope Benedict XVI — Ad perpetuam rei memoriam –” affirms “among the sacred temples of the Diocese of Bragança Paulista in Brazil, stands out, deservedly, the Church of Our Lady of the Rosary, erected in the city of Caieiras, to which the faithful of the region tend to go to implore the powerful help of She who is Full of Grace, to guide their existence according the precepts of the Gospel. 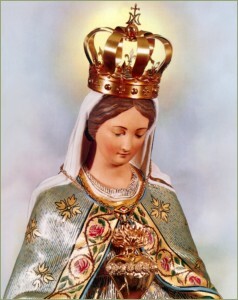 of Mary, according to the method of St. Louis Grignion de Montfort. Travel arrangements by QS Travel & Tours Inc. affilate of Queen Syrena Travel Inc.
3055 Dundas St. W., #4, Mississauga, ON L5L 3R8. “In the Thomistic synthesis, the good has an extraordinary importance. St. Thomas conceives it as the motive of creation and the end of the created” 1 . The Aristotelian concept of the universe is one of order. Transferred into Thomistic thought, the resultant concept of the universe is one in which each part has some relation to each other part, inasmuch as all parts are ultimately linked with the Creator-God. It is thus that the purpose of the will emerges in light of its object. 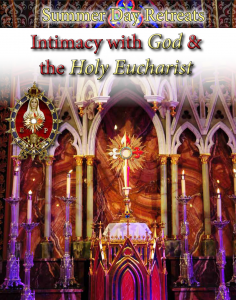 Mass & Confession available daily. Feel free to come for three, two, or one day. includes breakfast, lunch and babysitting.